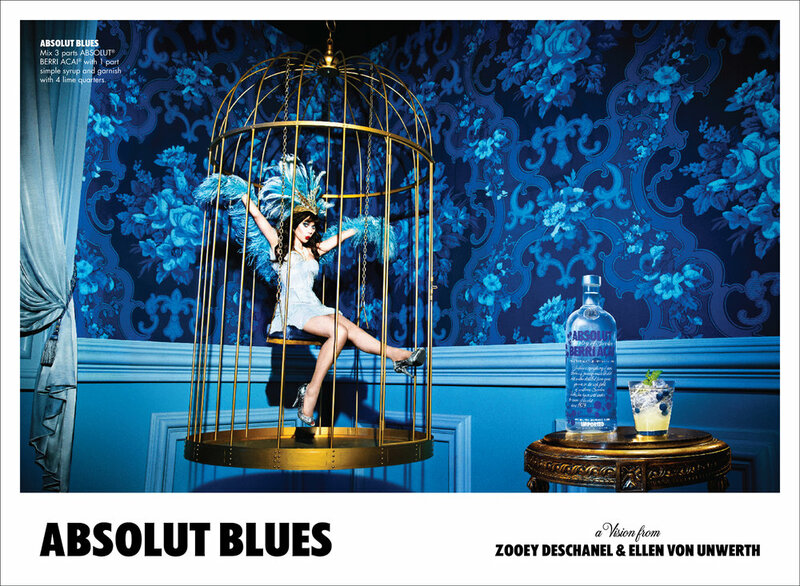 A campaign shot by Ellen von Unwerth for Absolut Vodka, featuring Zooey Deschanel and Kate Beckinsale. 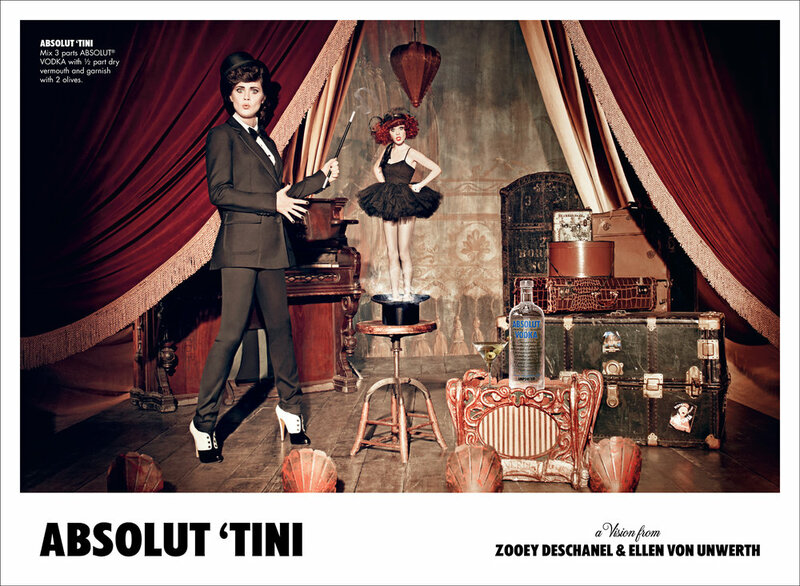 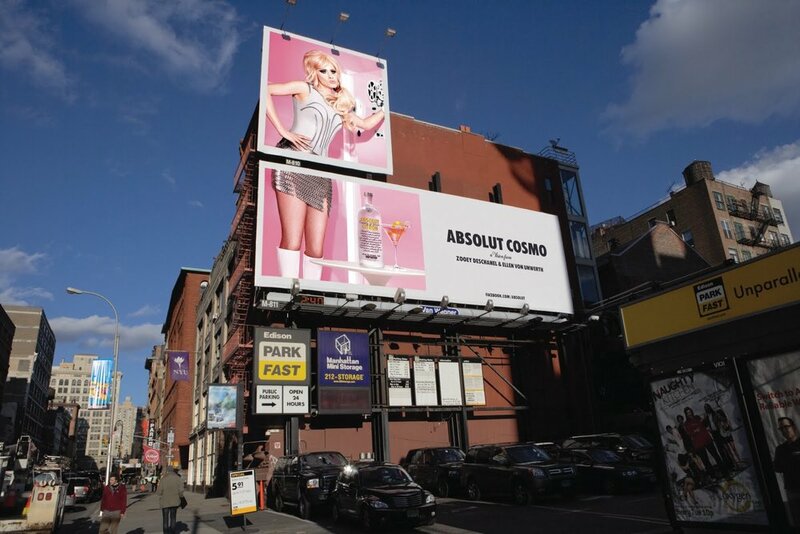 The core of the campaign were 6 print ads, each featuring a world associated with the a drink, with a very bold art direction and story behind each of the characters interpreted by them. 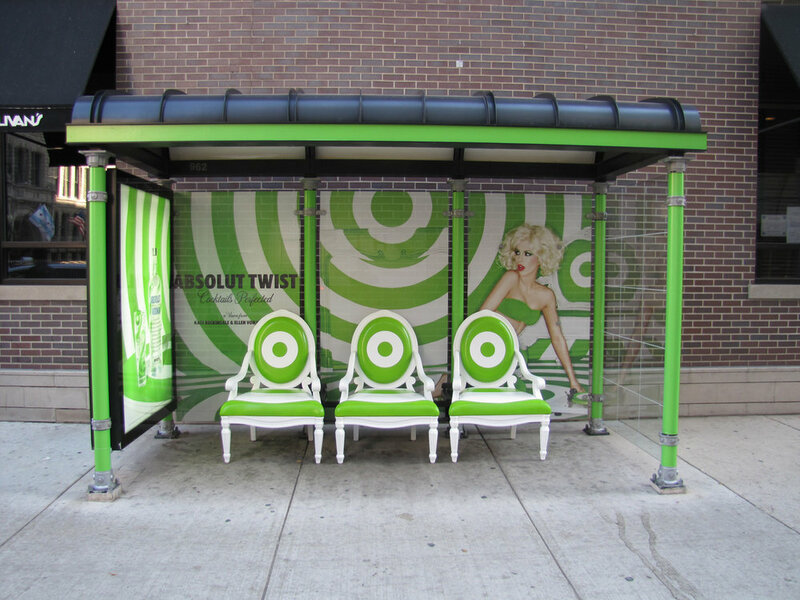 A lot of Out of Home material was created around each ad and could be seen in a lot of different applications. 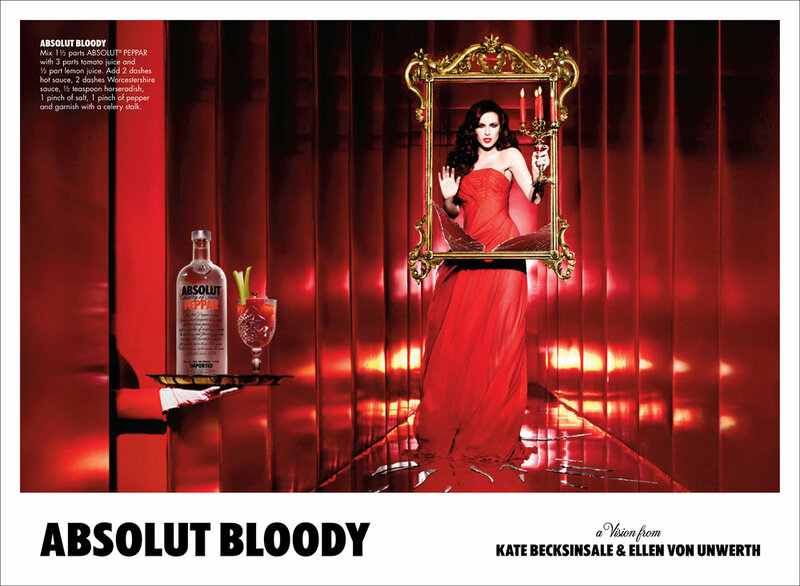 A website was created to bring each drink to life and expand on the worlds created.